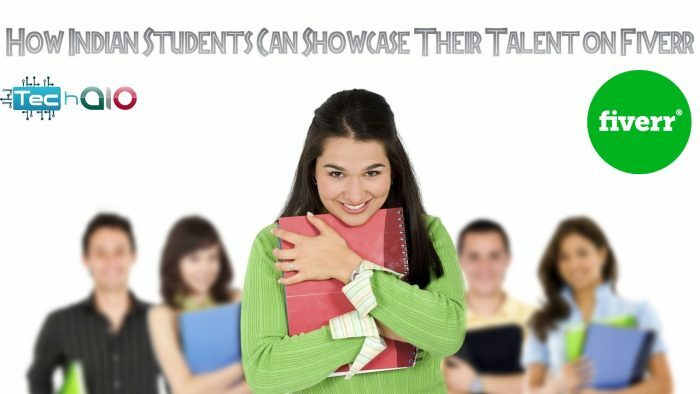 As an Indian student, you can showcase your talent on Fiverr.You have a gift to share with the world and Fiverr.com is a great place to start! However, in order to do this, you must to first know what your talents are, how others will benefit from them, how to market your talents and a determination to be the best at what you do. There are many ways Fiverr can help you do just that! Your interest, hobbies and your passions are often the first places to look when trying to determine what you have to offer. What are your strengths? What is it that you are so good at that it’s almost effortless? Will what you love to do and what you’re good at making life easier for others? What is it that you have to offer that others would be willing to pay for? Who would use these services and why would they use you instead of someone else? There may be several talents that you possess. Lucky for you, with Fiverr, you don’t have to choose just one. Nevertheless, once you have determined what it is that you want to offer, you should do a litmus test using the questions above. Just because you’re good at something and you love doing it, doesn’t necessarily mean it will benefit others or put money in your pocket. Though increasing your revenue is important, keep in mind that quality is often better than quantity. People want and pay for quality. To keep customers coming back and giving you great reviews, you want to give them quality work. Whatever talent you decide to showcase on Fiverr, give customers your best EVERY time! What is Fiverr? How to use Fiverr? If you think that as an Indian student showcasing your talent on Fiverr will be difficult, you’re mistaken. There are great opportunities available through Fiverr for everyone. You will not be pigeonholed or only allowed to work with those of Indian culture unless you choose to take this route. Fiverr affords you the opportunity to work with anyone. Building a good client base allows you the opportunity to perfect your talent by working with all types of individuals who have a variety of ideas and request. Your flexibility within your talent base will allow you to accommodate more customers and give you the potential for a greater income. Fiverr offers tutorials, blogs, system reminders, notices and prompts to assist you with everything from setup to marketing. There are no startup fees and displaying your talents will be a “walk in the park” once you’re “up and running.”As an Indian student, you can showcase your talent on Fiverr and show the world what you have to offer!